The sleek and elegant design of this modular lounge will add class and elegance to any room. The sleek arms and high legs gives it a simplistic feel yet it is very comfortable to sit on. When you buy your quality piece of furniture from Leisure Lounges, you can have it completely custom made right here in Australia. The Nook Modular has a basic design that can be customized to suit your personal taste and design needs right down to the last detail. You have a choice of more than 300 different fabrics and leathers so your lounge will go perfectly with the interior of the rest of your room. Leisure Lounges uses an Australian made full timber frame. No MDF or chipboard is used in any of our frames and it comes with a 10 year warranty. Strong, 50mm webbing is used standard in all our seating. The webbing is from an Australian company and meet all the requirements for a 10 year warranty, which is supplied by the company. You also have the option to have your lounge made with steel springs. For your seating, you can choose from Dunlop’s soft foam, medium foam, hard foam or Luxura foam. All Dunlop foams also carry a 10 year warranty. 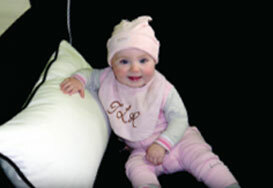 If you would choose something a bit softer, you also have the choice of duck feathers for your seating or back cushions.